Russia's Energy Ministry is continuing consultations with Russian oil companies on their accession to the agreement on freezing. Russia is ready to join the initiative on crude production freeze with OPEC member-countries in order to stabilize the market, Energy Minister Alexander Novak said. The most effective period for freezing oil production - 6 months with possibility of extension, Energy Minister Alexander Novak said in an interview with Rossiya 24 TV channel. "We believe that freezing for us is the most appropriate, effective option," he said. "In my opinion, the most effective period that would allow tot actually achieve the result - 6 months with monitoring the situation and a possible prolongation," the minister said. Novak added that the Energy Ministry is continuing consultations with Russian oil companies on their accession to the agreement on freezing. "We hope that everybody participates in it," he concluded. The minister has also pointed out that the meeting of the working group of Russia and Saudi Arabia on discussing energy cooperation would be held in the second half of October in Riyadh. "We have agreed that the working group would meet somewhere in the second half of October in Riyadh to discuss specific projects for the development of our energy cooperation," he said. 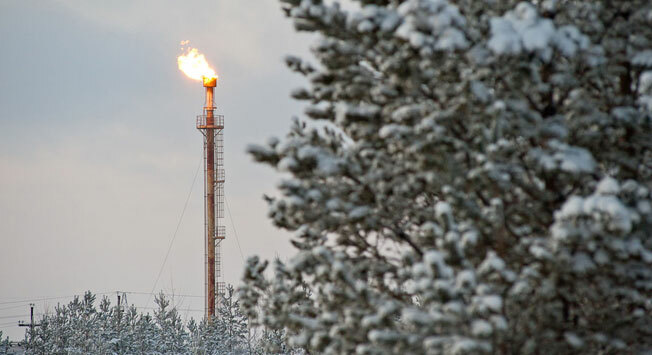 According to Novak, Russia is ready to join the initiative on crude production freeze with OPEC member-countries in order to stabilize the market. The minister stressed that it is necessary to avoid price surges. "We’ve confirmed our involvement as Russia is ready to join the freeze. This is one of the instruments, which could help quicker balance the market. We realize that prices should not be too high to attract a quick inflow of capital, particularly the production of shale oil, which can make good this deficit shortly, or to provide glut, which will trigger another cycle of low prices," he said. According to Novak, "joint efforts of OPEC member-states and non-OPEC members can smooth the waves of such volatility." "We’ll continue developing certain mechanisms and details," he added. On September 28, OPEC member-nations reached an agreement to limit the average daily oil production by 32.5 mln barrels. The Organization will discuss production limits of each member-nation at the next meeting in November. Speaking at the congress, Minister of Energy, Industry and Mineral Resources of Saudi Arabia Khalid Al-Falih said oil prices could reach $60per barrel by the end of the year. Russian President Vladimir Putin said earlier Russia was ready to join the decision on freeze or reduction of crude production, which is important for keeping stability on the oil market. "In the current situation we consider the freeze or even reduction of crude production to be probably the only correct decision to keep the sustainability of the whole global energy (market)," Putin said, adding that the move will help the market to regain equilibrium. On September 5, Russia and Saudi Arabia have agreed on measures - joint or in cooperation with other oil producers - with the aim of maintaining stability on the crude market and providing a sustainable level of long-term investment. In the statement, the ministers recognized "the current challenges in the supply side of the global oil market, including major contraction of capital investments in oil extraction on a global scale, particularly in exploration, as well as mass deferrals of investment projects, which made the market, as a whole, more volatile and therefore unsustainable to both producers and consumers in the long term," as well as "an imperative to mitigate excessive volatility harmful to global economic stability and growth." The agreement was a breakthrough after unsuccessful negotiations of oil exporters on freezing oil production in Doha in April 2016, where Russia also participated. At the time, the negotiations ended without any result due to Saudi Arabia and other OPEC countries not being ready to accept Iran's position, which insisted on achieving the pre-sanctions level of oil production, before the country joins the agreement on freezing oil production volumes. At a meeting in Algiers, OPEC members agreed to take the position of Iran into account and make an exception for the country.